"I feel the reason we ask ourselves: What am I doing here? is … ​I know if I change, then the whole world changes." 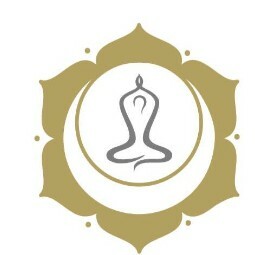 Hi name is Jayme the founder of Nurture Yoga Therapy which is a registered yoga school with Yoga Alliance. Nurture Yoga Therapy offers 200 hour yoga teacher training programs. Mom and Baby Yoga Certifications and Prenatal Yoga Teacher Certifications programs registered as a Continuing Education Program with Yoga Alliance. Jayme Hernandez has been practising traditional yoga and meditation for over 20 years and offers a practice from a holistic approach. Understanding to truly discover our infinite potential we must work within our physical, mental, energetic fields of awareness as well as all conscious expressions of existence. Jayme specializes in Prenatal Yoga and Postnatal Yoga Therapy, Mom and Baby Yoga and Couples Birthing Workshops. She is a certified Infant Massage Instructor with the International Infant Massage Association and is a certified Prenatal and Postnatal Yoga Teacher. Jayme holds an advance teacher training certification in therapeutic yoga and coaches individuals one on one. She also offers one on one Teacher Training Certifications for yoga teachers and professionals in related fields. Jayme has taught yoga to thousands of individuals, couples, mothers and their babies.Teaching from a dedicated moment to moment practice, therapeutic knowledge and many years of study and training.